If you’re interested in Multi-Unit Properties for Sale in Bakersfield you’ve come to the right place. Bakersfield offers a great selection of all type of investment property. In this article we’ll discuss the Multi-Unit Residential properties that Bakersfield has to offer. As with any investment, buyers should always do their due diligence and are urged to be cautious. Buying investment properties in Bakersfield can be very rewarding. Bakersfield still has a lot of upside in real estate investments and buying multi-unit residential properties helps curb vacancy factors. For instance if you have four units and one is vacant then you only have a 25% vacancy, it’s not as critical as having one property and that property is vacant thus 100% vacancy. Single family investment homes can also be a great investment but if you’re first starting you then you might want to get a duplex or two homes on one lot to help with vacancy factors. When it comes to buying a rental home there aren’t many more secure than Bakersfield real estate. This stunning city boasts huge industry and growth potential. This is what has made it such a popular place to relocate to. For this reason, the property value in Bakersfield has increased substantially over the years. That is why Bakersfield real estate is a safe bet if you are looking to make some serious returns! Depending on what area of Bakersfield you decide to invest in can yield different results. Northwest and Southwest Bakersfield are more expensive areas but will yield great, stable returns with long-term renters. These areas will likely also rewards it’s investors with better appreciation. Southeast and Northeast Bakersfield can also yield desirable results, these areas are a bit older construction. In these areas an investor may expect better monthly returns on cash flow but lower appreciation. 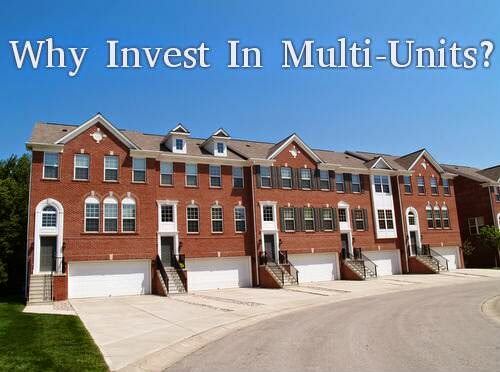 Smart investors will diversify their multi-unit residential properties portfolio and take advantage of both types of returns, appreciation and cash-flow. For more information on Multi-unit residential properties for sale in Bakersfield, please contact us or leave a comment below. We’d appreciate the opportunity to assist you!